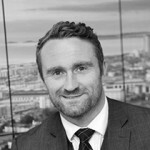 Thank you to David Parton, the manager of our Killay office, for keeping us entertained throughout the 2019 Six Nations Championship. The Hangover is still heavy after we won THE GRAND SLAM 2019!!! I’m sure all of Wales feels the same!?! An awesome performance to finish an entertaining tournament! Wales scored just after a minute through a lovely chip from ‘Man of the Match’ Gareth Anscombe for the impressive Hadleigh Parkes to catch and touch down! 7-0 just after 2 minutes of play and that seemed to set the tone!! We lost George North within the first 10 minutes, which meant juggling the line up with Dan Bigger coming on and Anscombe going to full back and Liam Williams shifting to the wing. Fast forward to 77 minutes and Wales are 25-0 up!!! Wales kept with Anscombe kicking the goals and were rewarded with him landing all 20 points other than the try scored! Ireland battered at the Welsh defence and it wasn’t until the 80th minute they broke it down to make the final score 25-7. Wow!!! Dream Land! Images of all the team will live long in the memory but for me the sight of Captain Marvel, Alun Wyn Jones, giving his jacket to the 7 year old (shivering) Mascot during the National Anthems and then lifting the cup knowing he has now won 3 Grand Slams are up there with some of my favourite memories of watching rugby. Awesome! 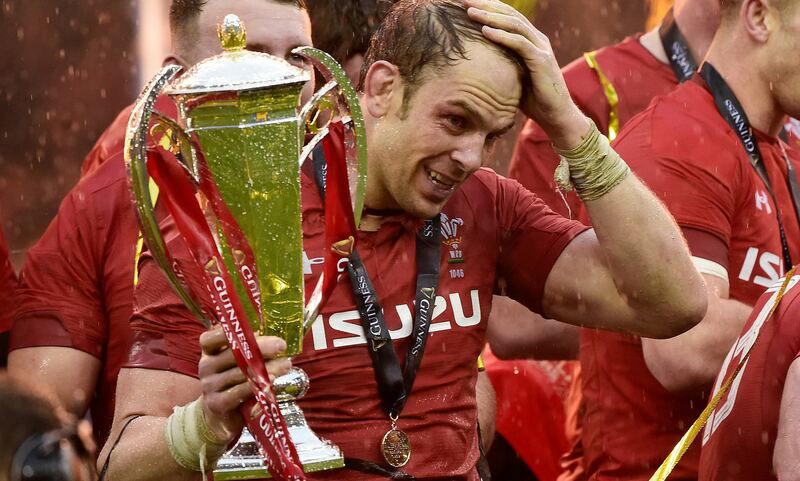 A very proud Welshman and rugby fan is very happy this Monday morning! The old cliche of “game of two halves” has been bandied around quite a bit from my friends since Saturday! Wales looked every bit the part as they picked Scotland apart during the first half of the game Saturday. Clinical and ruthless in attack. Almost bullying in the collisions. As a Welsh fan a joy to watch! Two tries from the impressive Josh Adams and the ever dependable Jonathan Davies resulted in us going in half time up 15-6. Excellent. In the bag. Same again second half please boys!! The Scots had other ideas and came out a different animal! Playing heads up rugby and taking the game to the Welsh. A frantic pace and open style which Wales had to battle hard to keep up with. The Blues kept the ball and battered against what is arguably the best defensive team in the world. Which, in my very humble opinion, were outstanding to a man during the second 40 minutes! At one stage we drove the Scots back 20 yards with aggressive defence. Scotland did manage to break through once and scored a well-worked try from an inside (forward!) pass. 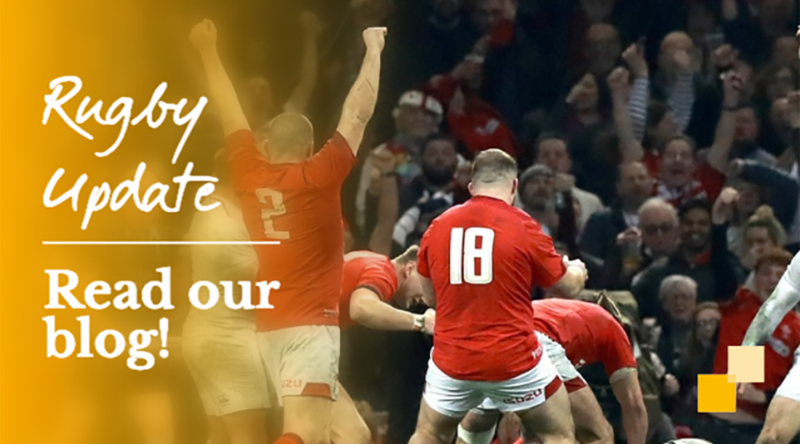 It made for tense watching and Wales could have lost – but – this is what fills me with hope, we didn’t lose. Wales fronted up and won the match 18-11. As coach Gatland said we have the winning bug! We are used to winning. 1 more next week and the party REALLY starts!! Ireland beat an average French side comfortably but I don’t think showing anything that Wales need fear. England looked very strong against the Italians and are still very much in the hunt for the Championship. I for one cannot wait to watch 3 matches next Saturday – if I remember the last game depends very much on the Welsh result!! When you’re asked to go on one of your best mates Stag Dos the weekend of Wales v England you assume it will be in Cardiff … or local … or at least somewhere in England? So when I was asked for the cash to book our transport and hotel in Hamburg by the Best Man, it was a bit of a worry??? Germany is not known for being huge rugby fans!?! This added to the concern of England looking like world beaters during the first two rounds of the tournament! Wales having underperformed, yet still ground out 2 wins, didn’t fill me with confidence, yet I didn’t lose my hope that we could do it against the Old Enemy! Anyway, we arrived in Hamburg on Thursday and got the lay of the land, found a little Irish Bar who agreed to show us the game on Saturday. YES!! Phew!!! Sorted. Game Day and the nerves were there, although a little under control from the (medicinal) alcohol consumed! Kick off and both teams looked strong. Wales had clearly stepped up a level but England still took an early lead and went in ahead at half time after a soft try given away by a lapse in concentration by the Welsh pack at a ruck in their own 22. The second half kicked off and Wales looked stronger from the off and inched ahead. Some tactical substitutions were made and these were the telling factor! Dan Bigger kicking his goals and then a great cross field kick for Josh Adams to collect wonderfully and touch down in the right corner. The conversion attempt missed but Wales were now in a commanding position with only minutes left to play. Wales held on and WON 21-13. Local ex-Waunarlwydd player Liam Williams secured Man of the Match but for this rugby fan, the stand out player was Mumbles man Alun Wyn Jones – what a player!!! Next up is Scotland away in 2 weekends time and then Ireland home on the 16th. Two very tough fixtures to finish off but I still believe! The Grand Slam dream continues this World Cup Year!! “A wins a win! I think that’s the best we can say after that performance!? Two wins away from home to start the Six Nations Championship against France and Italy which takes us up to a record 11 wins in a row! This now sets up a mouthwatering encounter with a very strong looking English team at Home in a fortnights time! England thumped France this week in Twickenham! Wales will need to improve to be in with a chance of competing with them! It will be a top of the table clash, with England being just ahead of Wales on Points. Both teams will be determined to win to continue their unbeaten run in the competition and keep the Grand Slam dream alive! I’m not worried! You’re worried! Shut up!! The Six Nations is a historic tournament dating back to 1883 when Wales, England, Scotland and Ireland hosted their own ‘Home Nations Championship’. The format we know today was formed in 2000 with the addition of Italy (with France being part of proceedings since 1910). This year’s tournament is the 19th edition of the modern format and after the 1st round of matches, the favourites and holders (Ireland) are no longer in contention for the Grand Slam. In recent years the title has been won by either Ireland or England however Wales are now in contention with an impressive 24-19 victory away to France in the opening round. This year’s tournament is particularly important as the Rugby Union World Cup takes place at the back end of the year.